This afternoon’s snack, which I did not snap a picture of, was one larger banana and small braeburn apple. Both were tasty, and I feel pretty good right now but I know I will need to eat something before I hit the gym today. If I don’t, I might rip someone’s head off from lack of food. I also finished off a few bites of carrots, my stomach seems to be burning through the fruit and veggies I am putting in my stomach today. I always like to fuel up before the gym too, or then I am just hungry and sluggish. I am going to eat a Quaker Oatmeal Chocolate Chip chewy bar about 15 minutes before I leave for the gym. I am going to take is easy on my legs today. I usually do adductor and abductor, but my right hip isn’t super happy right now. So I will stick to a few easy things and work some leg work in this weekend. Time to finish the day strong! Lunch time, boredom eating, busy afternoons, and coffee creamer. Coffee creamer is my vice! I am addicted to it. I look forward to my cup of joe with a splash of creamy, processed deliciousness. I am in love with coconut flavored anything. There is a limited edition Almond Joy flavor hanging out on the shelves now; and my trusty standby, coconut cream, is always available. Taking a look at the side of the bottle though is slightly cringeworthy. Because for me, a little does not go a long way. A one tablespoon service can have as much at 3 grams of fat (60% being saturated) and 30 to 35 calories. One tablespoon on top of the other can really add up. I usually add almond milk and then a tablespoon or two of the creamer to make my coffee “watered” (or “milked”) down to not put as many calories in my coffee. I just am trying to decide if my morning “treat” is really worth it, or if there is another alternative to my delicious coconut coffee cravings. I love it. But maybe it needs to be a “treat”, only a few times a week with other options in between. Sugar Free flavoring? Black? Plain old vanilla soy/almond milk? Maybe these coffee should be reserved for weekends and on Wednesdays. This habit will be hard to kick, so I need to muse on this one a little longer. Boredom eating. Serious stuff. At work is when it hits me the worst. I eat because I am bored. And when I am not even hungry. When I am not enjoying something, I like to eat. Because I love eating. I love good food, I love tasting things. I just love it! The key I noticed to this is actually recording, and watching what I eat. If I am hungry, I should eat something. If I am eating and not hungry, I am wasting those calories in my “calorie bank”. Which means I won’t be able to enjoy that cookie later after dinner. This comes back to emotional eating. Boredom eating is actually a form of emotional eating. For me, the challenge has been how to tell if I am actually hungry or if I think I am hungry. I don’t like to get to the point where I am famished and my stomach is growling with hunger pains. This is just helping me get in touch with my body a little better and I am beginning to understand more of it’s little quirks. 1) Keep lots of produce in the house. Whether it’s fruit or veggies. I’m morel ikely to make a smoothie, or grab a piece of fruit on the go instead of a high calorie granola bar or cookie from the counter. 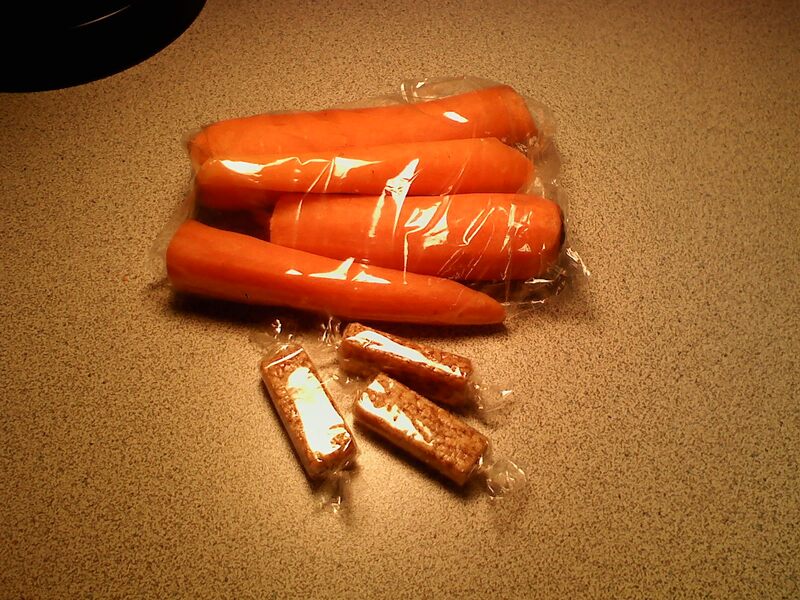 Packing my lunches for work are also a lot healthier. 2) Eat slower. I actually take time to chew my food, and enjoy the taste. Before I would scraf some down and then some more. Now, by taking my time – I enjoy the taste and then I am more likely to stop when my body has had enough. Before I would just eat until I felt full, but when I listen to my body, I was TOO full. 3) Portion Size. Portion out food. You don’t need to eat out of the bag or container. You can always go back for more, but it eliminated mindless eating. 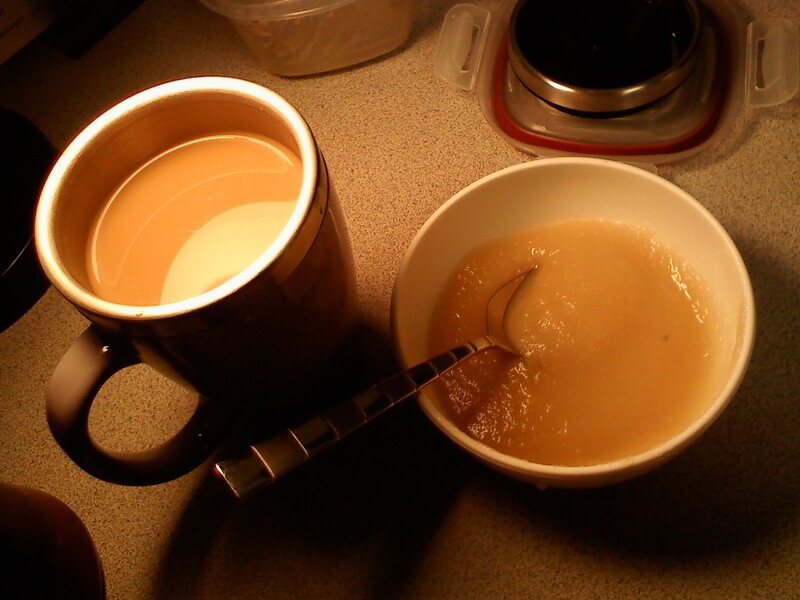 Midmorning with my coffee, I had a few bite s of apple sauce. I realized I wasn’t super hungry so I didn’t finish off the apple sauce. Soon it was time for the meeting and my tummy was grumbly. 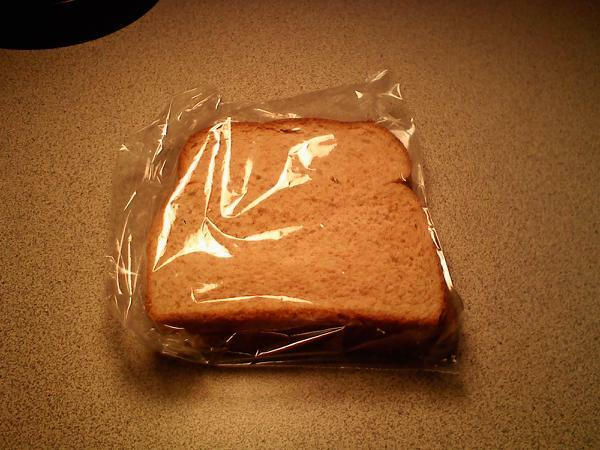 I ate my PB&J on SmartWheat bread. And then finished off the apple sauce. Off to the meeting I went, full and drinking my TASTY coffee. Right now I am snacking on some delicious carrots, and I am going to satisfy my sweet tooth with 3 honey sesame crunches. MMM! Overall todays been a good day. Tonight on the menu for dinner is homemade mac and cheese, and exercise will be a simpler off day. A walk with the soon-to-be-hubby as we have a concert he is conducting tonight. Time to finish the day strong!! Gym tomorrow, picking up produce at the store tonight, meeting at bank, and switching my overpriced cable package over. Busy afternoon!